Each dog breed exhibits unique characteristics that influence their behavior. 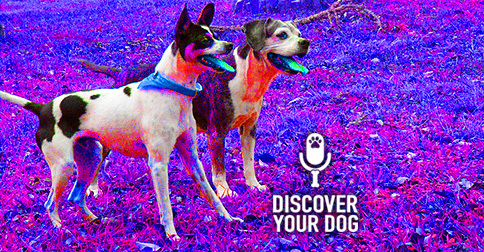 Today, discover a rating system you can use to get a better idea of what to expect from your dog. 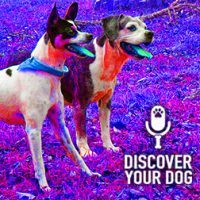 In this episode, we continue our trilogy that shifts focus so you can get a broader knowledge of why your dog behaves the way she does! We’re going to talk about very specific characteristics in specific breeds and cover main characteristics. Knowing these characteristics will help you better choose your forever-pet. Genetics will influence the type of personality it demonstrates, the energy of the dog, etc. Even if you get the same exact breed it is not the same dog – each dog has its own individual characteristics. Dogtime.com – this website breaks down each breed and sub headings for each one of those. Does this dog adapt well to living in an apartment – good with living in smaller areas? Is your dog going to be ok with you working 8-10 hours a day? A Border Collie might not do as well as a bull dog. Does your dog tolerate a lot of activity or noise? Does your dog get along with other people, other dogs? Cocker Spaniels have a tendency to latch onto one owner instead of multiple – if you are very social, this dog breed may not be the best family dog. Do these dogs shed a lot? Does the dog drool a lot, like a mastiff? Are they easy to groom or complicated, like a Yorkie? Also – pay attention to the size – a Yorkie is a lot different from a Mastiff! Consider your own health when choosing a dog. Intelligence and “easy-to-train” do not go hand in hand! Bennie’s experience is that more intelligent dogs are harder to have as pets, for example a Border Collie. Dogs that are very trainable and adaptable are ones such as Labradors. What is it that you would be looking for to match your lifestyle? What are the things you need to analyze in order to bring a dog into your home? Future thinking – are you going to outlive this dog? How much time will you be spending with your dog ? Do you have outside support ? Are you ready for dog destruction ? Are you willing to do what it takes for that dog to train them?